Our participating schools contribute tremendously to the success of Detroit PAL programs. The support of these schools, located in and around the city of Detroit, demonstrates commitment and dedication to the healthy development of our kids. Our School Calendar has all the information a school needs to register a team, including which sports are available, fee and form deadlines, age requirements, number of players allowed, and fees for teams. Teams and schools who are interested in participating in an upcoming sport can fill out a School or Team Registration form. This lets the Commissioner know that you’re interested in participating, but your participation in a league is not confirmed until payment for the team is received. Find out which school sports are available on the School Calendar. Each sport also requires a team/school to have their children complete individual registration forms. These forms are usually turned in together by the team with their team payment. To register a team, please email the completed Team Registration form to the Commissioner (email addresses are located at the bottom of the forms). You can also fax this to the Detroit PAL office at 313.833.1616. Detroit PAL partners with more than 105 schools in the Greater Detroit area to provide quality extra-curricular program programming for student-athletes. The benefit for schools is the expertise of Detroit PAL as an independent league administrator. A dedicated Commissioner creates the schedules, updates standings, and provides certified referees for the regular season and playoffs. A great benefit to schools is the IMPACT Training & Certification Program, developed in partnership with Michigan State University’s Institute for the Study of Youth Sports. This proprietary 3- year course teaches coaches how to be mentors while keeping kids first. The certification includes a yearly background check and a credentialed badge. Our present school sports leagues feature Boys School Basketball, Girls School Basketball, Volleyball, and School Track. 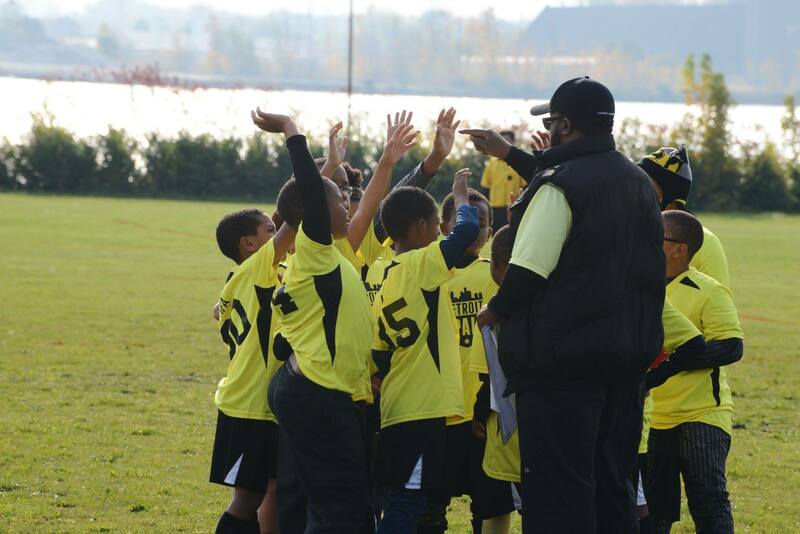 Detroit PAL offers Spring Soccer, Fall Soccer, Baseball, and Softball where schools field teams in the recreational program against similarly aged youth. Detroit PAL runs the Soccer for Success program in selected schools to teach nutrition and provide a soccer curriculum to keep kids active 2-3 days per week.